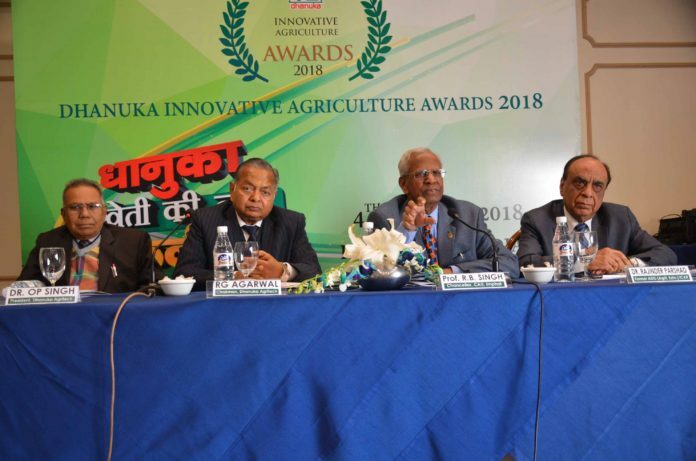 New Delhi: Dhanuka Agritech limited, one of India’s leading Agrochemical Company, today launched the first edition of ‘Dhanuka Innovative Agriculture Award’ (DIAA) to recognize and encourage innovative farming techniques adopted/practiced across India. The nominations which opened today invites entries in 30 categories by farmers/dealers and agri-institutes/scientists/KVK’s(KrishiVigyan Kendra)who have made outstanding contributions to this sector. Dhanuka Agritech Limited, since its foundation, had been a forerunner in serving the farming community and this is another step in the similar direction supporting Hon’ble Prime Minister’s mission of ‘Doubling the Farmers’ Income by 2022’. 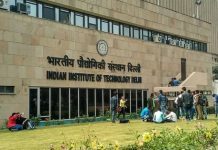 This initiative by Dhanuka is to incentivize and encourage the adoption of new technologies by farmers; these awards will recognise the outstanding efforts of Farmers/Research Institution with cash prize and citationon March 22, 2018, during the World Water Day 2018 conference (WWD), which isto be held in Delhi NCR.The jury of the Dhanuka Innovative Agriculture Award 2018 has been constituted under renowned scientist under the chairmanship of Chancellor of Central Agriculture University, Imphal, Padma Bhushan, Prof. R.B. Singh. Under this initiative Dhanuka Agritech invites applications from progressive farmers / Research Institutions / SAUs (State Agriculture Universities)/CAUs( Central Agriculture Universities) / KVKs( KrishiVigyan Kendra) / NGOs ( Non- Governmental Organizations) / SHGs( Self-Help Groups) / Panchyats etc. across the country who, through their innovative farming practices, are helping to regenerate India’s agricultural landscapes, communities and food systems, which will contribute to Food Security and help in doubling the Farmers’ Income. It is expected that the Award Winners will be Leaders,serving the farming community as a model for rational management of resources, including land, labour, capital, knowledge/Technology/Water/Agri-inputs etc. The Awardees will be the spark-plugs for motivation and examples for others to follow. Commenting on the launch of the award, Shri R.G. Agarwal, Chairman, Dhanuka Agritech Limited said, “With a vision of changing the agricultural landscape of our country, Dhanuka Agritech has always been at the forefront of bringing revolutionary thoughts and practices for betterment of the farming community. DIAA (Dhanuka Innovative Agriculture Award) is the first such initiative wherein we aim to acknowledge the innovation done in the farming sector. With these small incentives we can encourage our farmer friends to come and share their practices to enhance the crop productivity and farmers’ income”. Dhanuka Agritech is among top five agrochemical Formulation Company in India. Recently the company announced its Q2 result where it continued its growth momentum by registering 11.40 % growth in terms of Turnover. The company also launched a new product- SUELO for enhancing the soil health naturally in December last year across India.